We recommend that all resources are opened using Adobe Reader. So before you begin printing, please download the latest version of Adobe Reader. Our resources are illustrated as high-quality vectors, meaning that they can be scaled to any size without loss of quality. Because of this, our resources are highly flexible to suit all kinds of printing specifications. First, download the resource that you would like to print. Next, open the resource .pdf file in Adobe Reader. This is the most common way to print our resources. In order to do this, simply click on the print icon in Adobe Reader. 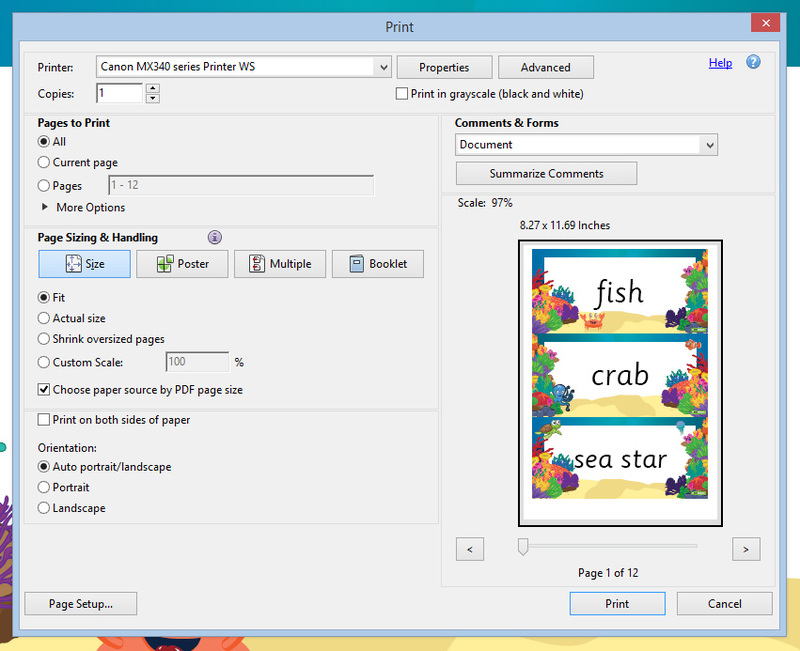 The Print dialog box will open, presenting you with a number of options and settings. The most important settings, when printing a single page per sheet, are the Page Sizing & Handling. In this section, ensure that you have selected "Size" in the tabs and selected the "Fit" radio button. This will mean that the resource will be scaled to fit on your printer's paper. 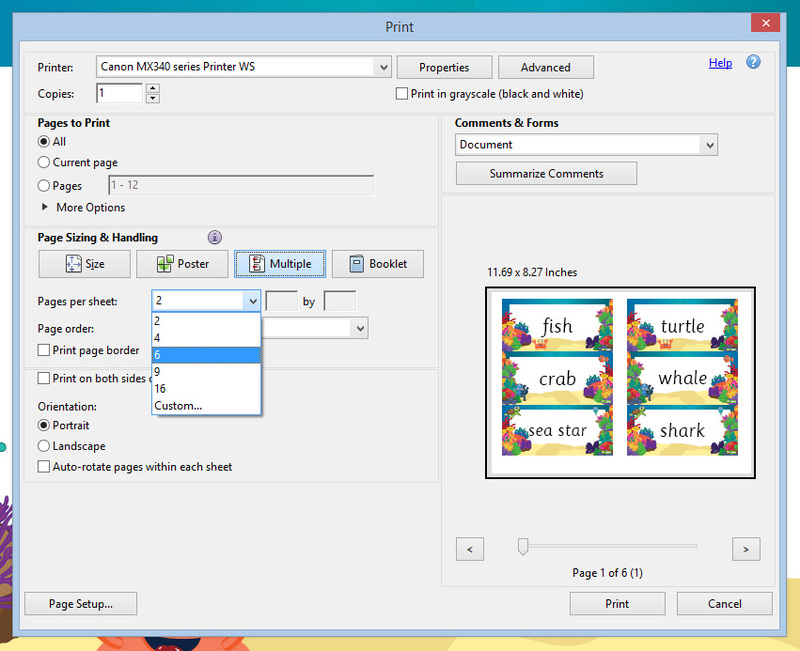 This setting is handy for printing flash cards or word wall cards. You may wish to have multiple word wall cards to a page, saving on ink and paper or simply for a more manageable size for your students. Once again, with the print dialog box open, simply click on the 'Multiple' tab under the Page Sizing & Handling section . In this section, you will be able to select the number of pages you wish to print on each sheet of paper. This will mean that the resource will be scaled smaller to fit more pages per sheet. If you have any questions or need further help printing our resources, simply reply in the comments below or email [email protected].